The Fhitting Room Rules the Flatiron. 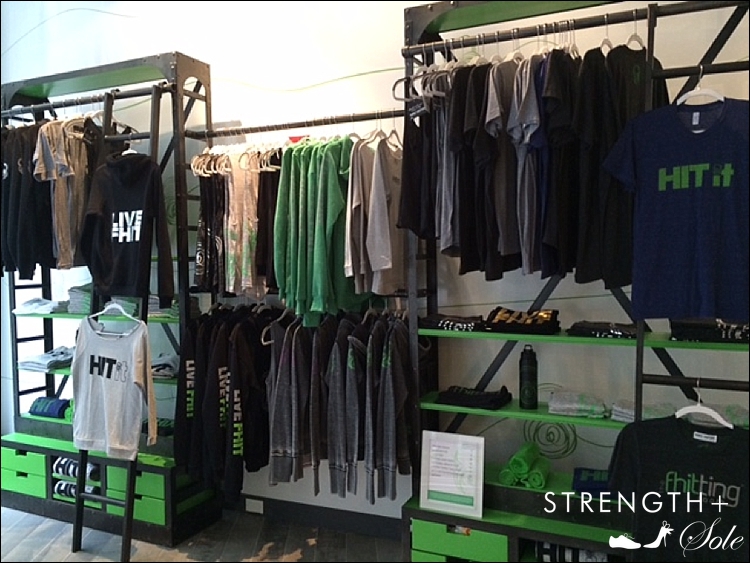 Since its opening in February, The Fhitting Room has made its mark on the Flatiron. 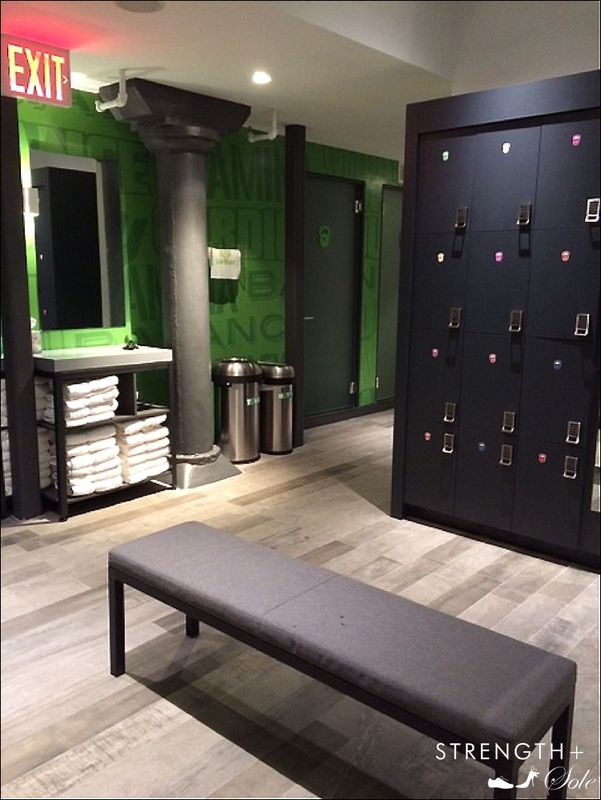 With a color-coordinated, bi-level space (this is the second NYC studio) and a rockstar instructor roster, it’s a fashionable, fun and efficient workout. I grabbed my friend Bianca Jade of MizzFit for a Saturday morning sweat session led by upbeat, decidedly buff duo Eric Salvador (nicknamed “El Capitán”) and Emily Cook Harris. High intensity training is what it’s all about at The Fhitting Room. That means 50 fast-paced minutes of moves that rely primarily on body weight (burpees, jumping jacks, lunges and squats) and standard equipment (kettlebells, medicine balls, rowers and TRX), combined to create a Functional High Intensity Mix (FHIX). 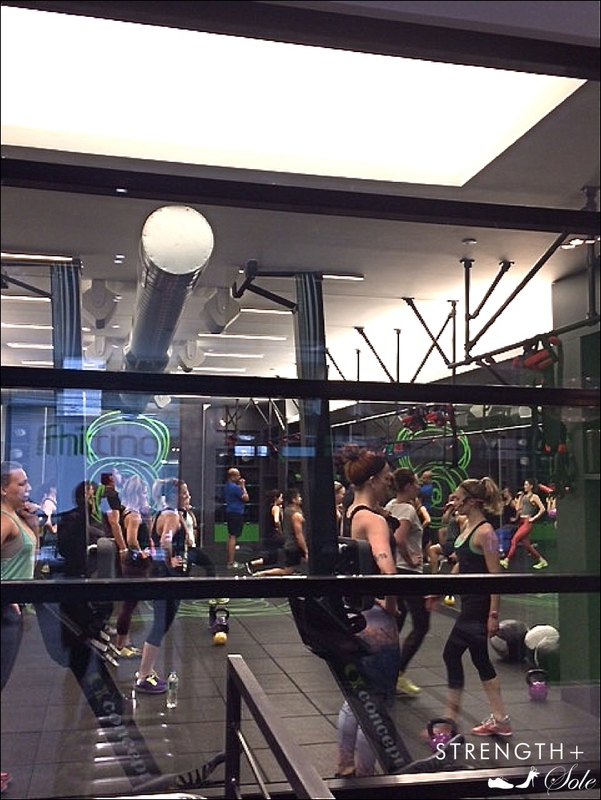 Our class was a fairly balanced blend of women and men (guys were definitely well-represented, for a group fitness class in Manhattan) and with an instructor-to-client ratio of 12:1, we found extra help where we needed it–and minimal opportunity to “rest” while no one was watching. 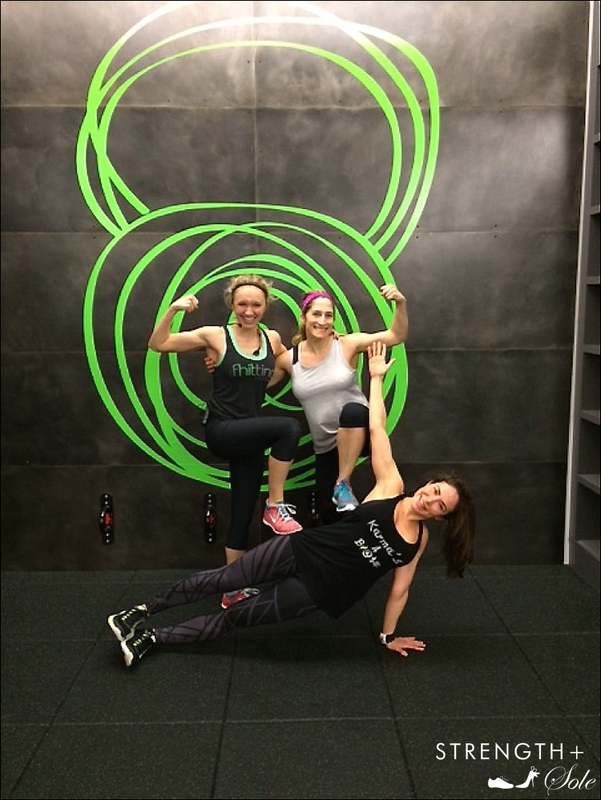 Here’s a look around the gorgeous studio, plus a shot of Emily, Bianca and me celebrating a job well done. Curious to try it out? 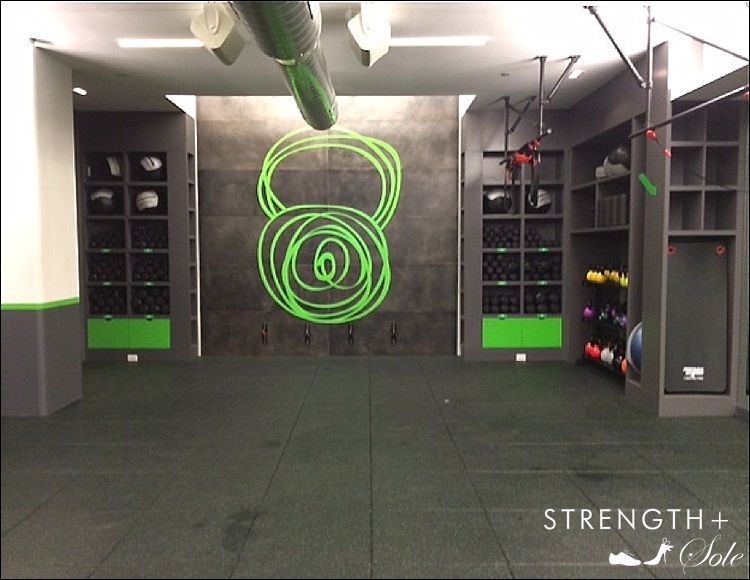 Book a class at The Fhitting Room’s Flatiron or original Upper East Side studio (first-time students receive 2 classes for the price of 1 – $35). Then, come back here and let me know what you think! Featured image c/o The Fhitting Room. I can easily see how this method produces results. Luck to all in it. Looks like a great place. I am in awe of your energy and enthusiasm!